The intended audience of this document is every academic and administrative unit of WLU. The principles presented are intended to apply at all levels of the organization from centralized services and organizations to an individual academic or administrative department. To articulate a set of principles that set out a framework in which WLU will pursue its overall goals through appropriate use of information technologies and services. A. The University is a generic term for an "appropriate" committee or department to deal with an issue. Membership of such a committee, or the identification of the department will be defined in a subsequent implementation phase for this report. B. Information Technology (IT) refers to the totality of technologies that we acquire or develop for campus use in the creation, processing, accessing and distribution of information. It includes computers, computer software, audio-visual media, communications devices, scanners and printers, and web technologies. C. Applications of IT are the uses to which we put IT, in the furtherance of our University goals and objectives. D. Information Services refers to any form of service to a student, faculty or staff member that provides that client with information, where the delivery of the information is principally dependent upon the use of some electronic technology. Examples include electronic mail, telephones, Library catalogue access, database access, use of audio-visual media and equipment, scientific data processing and using a student computer lab. E. Users of University information services include individuals (students, staff, faculty) as well as entities (departments, faculties) which are members of the WLU community. F. Data are the basic components of information; they are in effect the raw information material that we gather and subsequently analyze and distribute. Examples are an employee name, a book title, a vehicle license number, a donation amount, or a student grade. G. Information is developed from data by aggregating, summarizing, or other processes that seek to give to some data whatever objective meaning is necessary in a particular decision or learning context. H. A database is a structured collection of data. I. Institutional databases refer to databases upon which WLU depends for its overall operation. Such databases, in the normal course of their use, will be directly accessed by people from all across WLU, or will indirectly provide data or service to a broad range of users. These databases are in contrast to private systems, which are used by individuals or single units, and are never required to interface directly with any other information service on campus. IT strategies and applications must be chosen to provide maximum support for the goals of WLU. The organizational structure of any successful institution will reflect the strategic objectives of that institution. Given our dependency on information, it is critical that our strategies for using computers and other information tools be aligned with the institutional strategy, goals and objectives. This model of strategic alignment must apply throughout WLU: every unit needs to periodically assess whether its strategic objectives are being effectively and efficiently supported by its organizational structure and its IT strategies and applications. Starting from the agreed upon WLU goals as contained in the approved institutional plan, departments and faculties must build their goals and strategies. Organizational and IT strategies can then be developed which are aligned with the overall plan. Approved strategies must then be supported by appropriate budget allocations. Scope: In this section, WLU defines, in general terms, the importance and role of IT and its application for the institution. 1. Information should be effectively and efficiently used. The use of IT is critical to the success of WLU. It is a pervasive technology, both institutionally and globally. WLU has a substantial investment in hardware and software, in human resources to support IT applications, and in training of users. Most members of the WLU community are dependent upon access to information in order to carry out their roles of teaching, learning, research and administration. The investment in human resources to acquire, process and make use of information is enormous in a modern university. It is important that these investments maximally contribute to our success as an institution. This means that every unit head must consider carefully how that particular unit can make the best use of application of IT to further the objectives of that unit, within a complex and mutually interdependent environment of IT applications. Decision-makers must insist that IT be used efficiently and effectively, for they are ultimately accountable for the application of IT within their unit. When decisions are made concerning the use of IT, the outcomes of those decisions must be appropriately managed. Many of our current applications of IT can be characterized as using IT to automate what we have done in the past, without questioning the wisdom, validity or effectiveness of those traditional practices. The organizations that are making the best use of IT in the world today are those who have the courage and persistence to ask hard questions about their particular processes or practices, and then to automate only those that make sense to continue. 2. IT applications should enhance the capability of the user. This principle asserts the critical importance of the users of technology. It is at the desktops of users of IT that we obtain benefits in teaching, research and administration. Units such as Computing and Communication Services, Information Systems, Audio Visual Resources, the Library, and Printing Services deliver value by supporting and enabling faculty, staff and students, across the entire institution, in pursuit of their goals. Users of technology must be actively involved in IT planning and in the development of IT projects. Faculty and student representatives, for example, should not only be active users of IT, but also individuals who are exploring new and innovative applications of IT in the university environment. All changes must enhance the capability of the institution in achieving its goals. Changes simply for the sake of change must not be approved. 3. Information services should be available, for any member of the user community, at their place of study or work. WLU recognizes its dependency upon IT, and the need for faculty, staff and students to access information services, in an equitable manner, in order to carry out their work or study. Ideally, access should be available wherever and whenever it is required. This principle implies that the University will undertake to provide broad access to information services that are part of the institutional working, learning and public service environment. It also implies that the campus network-based IT environment will continue, and be expanded. It does not imply 24 hours per day, 7 days a week service as downtime is required for system maintenance and repairs. 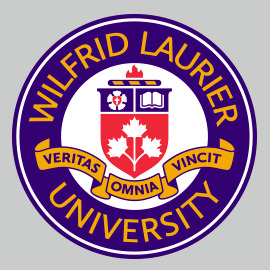 Further it does not necessarily entail that faculty and staff have a right to a microcomputer in their home or the provision of connectivity to WLU. 4. The University should provide integrated IT infrastructure for all information services. Faculty and staff work in a plurality of roles: most faculty have at least the administrative responsibility of managing their own research grants; many administrators teach. Furthermore, we have a multiplicity of information services available to user desktops. It is therefore effective, both in terms of time and money to have available an integrated IT infrastructure. WLU will not develop a separate administrative network from the academic one. However, this principle should not be construed as an excuse to deploy services with a lowest common denominator of interface or integration. Rather, it is a challenge to move forward, with increasing ease of use and integration, in our deployment of IT applications. 5. The University will strive for an information environment based on common, shared databases, accessible by distributed clients. Throughout the data processing community, there is a growing realization that in order to survive the information processing and access demands of the future, it is necessary to establish an overall data architecture for an organization. Having such an architecture will define precisely how, where and by whom data are created and subsequently accessed. It will eliminate duplication of effort and it will ensure a higher degree of accuracy and integrity of databases. We have an integrated administrative database using the Banner package. The continued use of the in-house developed Financial Information System (FIS) software will be reviewed as part of the WLU 5-year plan. However, other institutional databases exist for which access is not generally available. This situation also needs to be reviewed. Scope: In this category, WLU declares what it believes about data: how are they created, stored and shared. 1. All institutional data should be available to any user who has a demonstrated need, provided that policies for ownership, security, data integrity, confidentiality and license are satisfied. Institutional data are common resources; they must properly be viewed as belonging to WLU, and the University is responsible for ensuring their integrity, accuracy and protection. It is necessary to develop a comprehensive strategy and set of policies for data access and management at WLU. Questions of intellectual property rights should be addressed in appropriate policies and agreements. 2. Data should be entered in institutional databases only once, and by the individual who generates those data. Every opportunity should be taken to eliminate duplication of effort and possibility of error when we create collections of data. Every decision made to ignore or side-step this principle is a decision to inhibit the efficient use of WLU resources. This principle establishes a commitment to eliminating data redundancy at WLU. Further, it requires that data be entered into our institutional databases by the individual who is the source of the data, whenever possible. 3. All data will have a designated custodian. It is the responsibility of this individual to ensure that policies for security, data integrity, confidentiality, ethics, licence and other legislated conditions, and the need for access are satisfied. Someone must take responsibility for each institutional database. This responsibility should fall on the unit of the organization that is the logical custodian for each such database from the perspective of accountability. This principle elevates the importance of data within WLU, and enshrines the notion of responsibility for data collections. It is critical that stewardship for data be recognized as an important function in each unit. Custodians will have to be designated and guidelines to assist them in carrying out their responsibilities will have to be developed where they do not currently exist. (Note that some policies already exist: Graduate Studies, Finance, Registrar's Office.) The Information Systems and Computing & Communication Services Departments will retain a supportive role to the units and individuals who act as data custodians. The policies and procedures by which custodianship for data is assigned must be developed. The University must recognize the need to properly train and support people who take on the role of data custodian as part or all of their work function. Data custodians need to ensure an acceptable level of data integrity. 4. Where appropriate, all documents created for WLU purposes should be in electronic format. Appropriate application of IT permits the creation of documents that can be easily catalogued, accessed and distributed within the institution. Depending upon how aggressively we want to push towards the use of electronic documents in teaching and learning, some or a great deal of education is required. Some technological support will have to be developed. An institutional virtual repository of documents that are available for sharing and distribution should be established. Appropriate catalogues are much more important than the physical location of documents. 5. The University must establish and maintain a records management system. It is important that appropriate data are retained to satisfy legislative and WLU requirements. Equally important is the retention of data as required to ensure a full and complete history of the development of the institution. At present the institutional database is growing ever larger which adds to the time required to do backups and which is an impediment to the expeditious implementation of new software releases. The University will have to develop appropriate policies for records management including the archiving of its data. As a first step, a records management specialist should be engaged to make recommendations to the University. A major problem will be the selection of a format for archived material which will allow subsequent retrieval. Scope: In this category, WLU declares principles that affect how it should organize to select, maintain and use IT applications. 1. The University will define, maintain and enforce the standards that define the institutional IT environment and will be responsible for all aspects of development, support and maintenance of this environment. There has to be central coordination of IT activities on campus, precisely in order to take the best advantage of distributed computing. Otherwise the institution will have a collection of incompatible, uncommunicative, inconsistent and expensive information systems. Both CCS and IS have a number of standards that are working well. However, there is a continuing need to review standards as technology changes. 2. Hardware and software standards that directly affect faculty and students will be reviewed periodically by the Senate Committee on Computing and Audio Visual Services. Those individuals directly affected by the existence of hardware and software standards need to have a voice in the formulation of such standards. The Senate Committee on Computing and Audio Visual Services, as a consequence of its regular review of standards, will make recommendations that reflect the interests of its constituency. If the cost implication of a recommendation is minor, it will be implemented as soon as is practical. If the cost implication of a recommendation is major, it will be referred to the Senior IT Steering Committee with appropriate documentation. 3. Recommendations and priorities concerning major IT projects will be made by a Senior IT Steering Committee. Senior academic officers, administrative managers, and others with appropriate expertise are in the best position to evaluate the potential benefits and urgency of major IT proposals. A process needs to be developed for evaluating, prioritizing and ultimately recommending to the President proposed IT projects. A Senior IT Steering Committee with appropriate authority and membership needs to be formed. 4. There are core services that must be maintained by a central service unit and must be accessible to all units at WLU. Core services such as systems operations, data network management, database design and administration, user training, standards assessment, electronic mail support, web technologies, and telephone services must be supported on a campus-wide scale. To decentralize these functions is to invite duplication of effort and the loss of standardization. The University must identify what we believe to be the complete set of core services that pertain to IT applications at this institution. 5. The University shall provide appropriate and conveniently located services for users. It is critical that something as integral as IT services be of an appropriate nature and be easily accessible to the entire user community. This does not argue necessarily for a central location; only that the support organization has to be situated physically, organizationally and operationally so that it can be responsive to the user community. We need to develop a good model of what services are required, and what factors affect their effective delivery. Some of the factors will relate to type and location of space, and this should be incorporated into any planning for current and future IT facilities. Scope: In this category, WLU declares what it believes about the underlying technologies upon which our information services will be based. This section establishes the common threads of facilities and technology upon which we will build IT applications. 1. Information services should be provided in accordance with established University standards. It is costly and time-consuming to support a variety of IT systems, particularly in a network environment. Current hardware and software standards exist. WLU does not support non-standard hardware and software. Most people who choose non-standard solutions understand and accept the implications; some understand and reluctantly accept; others can be vocal in their demands. This does not imply a severely restrictive environment in which to deploy IT applications. However, it does recognize that WLU has finite support resources, and we can not afford to spread those resources thinly by trying to support non-standard IT environments. 2. When choosing IT solutions, the University should strive to use solutions that have been proven effective in similar applications. Institutions of higher education in general can no longer afford to develop new solutions where 'off-the-shelf' solutions are available. The software development costs associated with a major project are enormous. This is a principle with very significant implications. If we demand that IT applications must always suit the way we presently do things, we will very likely miss opportunities for re-engineering of our workplaces. We have to ask the question: are we using automation to speed up what we do now, or can we better serve our strategic objectives by changing our organization, its practices and the underlying IT applications. Notwithstanding the need to develop comprehensive functional requirements for WLU information systems, the examination of off-the-shelf solutions has to be considered as the first choice for meeting these requirements. We may have to be satisfied with less functionality than we might ideally obtain, in order to avoid the costly situation where we obtain a commercial solution and then extensively modify it to suit local requirements. The final determination of build versus buy, or change practices versus modify the software, must be made with rigorous economic analysis playing a very significant role in selecting an approach to a particular solution. 3. The University will build its information services around common, high-speed, network standards. The technology standards associated with this network will prevail institution-wide; units will not be permitted to connect to WLU information services other than through the standard technologies. Just as we cannot permit units to install their own voice communication services, similarly we must not allow non-standard, isolated data networks to develop. The cost of islands of isolation is too high as it defeats the objective of effective and efficient information access. In addition, the disruption caused by one incompatible device can have widespread and very deleterious effects on the other users of the network. The campus data network standards must be reviewed and communicated on a regular basis. Given a commitment to one network, we need to pay more attention to network security and availability. Having all users with all of their varying needs and applications on one network demands that increased care be given to that network. When the network goes down, the implications for lost productivity are very serious. Not only will connections to the campus network be in compliance with the network standards at the time of initial connection, but as the technology standards evolve, all devices connected to the network will have to maintain compatibility. In an area of rapid development of technology, this can be a serious issue. For example, in order for one user of the network to upgrade to a new version of some network application, it might be necessary for all users of that application to be upgraded. It is incumbent upon the University to choose technology standards that permit continuous evolution at minimal cost and disruption. Under exceptional circumstances, deviations in protocol may be required. If so, additional expenses can be expected to be incurred by the user department. 4. The University will recommend a set of personal computer systems and software to be used by the institution. Users may purchase equipment that does not conform to these recommendations recognizing that they will not be guaranteed access to the campus network, nor will they be guaranteed support by institutional consulting, training or trouble-shooting services. There are only so many support resources to go around. We do not have the capacity to support every possible choice of technology that people might make. The units that are responsible for supporting various information technologies will have to develop and circulate regular and reasoned recommendations for personal computers, network technologies and other IT products and services. Systems that are recommended must be accompanied with an institutional warranty that they can operate on the campus network, and a commitment that they will be supported for a reasonable time period. The University will continue to set hardware and software standards and encourage users to adhere to these. 5. The University will update existing electronic technologies and information services on a regular basis. The establishment of a timetable for the review of all information services will ensure that appropriate current technology is in use throughout WLU. The appropriateness of all systems must be reviewed on an ongoing basis. New releases of software upgrades provided as part of maintenance contracts will be implemented in a timely fashion. Technologies that are no longer current must be replaced. The University will need to earmark money in its annual budgets to permit those upgrades agreed upon to be implemented. Scope: In this category, WLU declares its views on how new IT applications should be initiated, some criteria for selecting applications or solutions to a problem, and what investigative processes and documentation should precede approval. 1. Before being automated, processes shall be analyzed with process models and validated. Decisions relating to such processes should be documented. Before we can consider a procedure for simplification, elimination or automation, we have to be able to describe it in objective terms. There is a growing acceptance of the need to be able to model the functional attributes of a process, in order to understand fully that process. By developing and applying the discipline of process modelling, we position ourselves for continuous improvement in the ways in which we think, work and do business, as well as avoiding costly mistakes that follow the blind pursuit of automation of processes that should be radically changed or even eliminated. There are many techniques for doing this, and the University will have to adopt a standard, campus-wide approach so that there is a common language for process modelling. An effective process model analyzes existing WLU practices, applies best practices in order to optimize resource utilization and creates efficient work flows for the development of a prototype solution. 2. Improving operational practices through elimination, simplification and integration shall take precedence over automation. We should not automate just to speed up what we are doing now. We first have to ask if what we are presently doing is appropriate, or if it can be eliminated or simplified; only then should automation be considered. This will require leadership from senior administration and managers throughout the institution. It requires that we alter our mind-sets with regard to automation. We have to be prepared to ask hard questions about systems or procedures that have operated without being challenged, or at least critically examined, for perhaps a long time. There is a requirement that the University develop the capability to perform this critical analysis, generally throughout the institution. 3. Priority shall be given to developing and enhancing information services that contribute directly to WLU, faculty, or departmental strategic plans. This is a direct consequence of attempting to align our institutional, organizational and IT strategies; they must be mutually informed and dependent. Data processing and communications efficiency should not be the prime determinant in selecting an IT solution. Unit managers must consider how a particular proposal for an IT application will contribute to the strategic objectives of that unit. Applications that are merely neat or efficient should be turned down if they do not serve the long term goals of a unit. Both the benefits which relate to strategic plans, and the technical efficiencies need to be assessed in considering a project. However, the former should get more relative weight than the latter. 4. Before information services are developed, a plan must be presented and appropriate approval secured. In the light of very limited resources for acquiring new systems, WLU must have an objective means to rank costs and benefits for proposed systems. It is expected that consultation with CCS/IS will take place before any new systems are proposed. The University needs to select some standard methodology to develop justification statements (or business cases), and to consider some of the newer ideas to make more objective the assessment of value in application areas that have been historically considered soft and not amenable to objective evaluation. There is again a requirement that the University provide training in methodologies to develop good statements of justification. Scope: In this category WLU declares principles that affect the funding (both initial and ongoing) of IT on campus. 1. The University is responsible for acquisition and maintenance of core infrastructure, including wiring to the desktop. Optimal use of WLU resources suggests a centralized approach in relation to the acquisition and maintenance of core infrastructure. The Computing and Communications Services Department has been given this responsibility. The University must ensure that the budget of this department is commensurate with the responsibility. 2. Departments are responsible for the acquisition of desktop hardware and software with ongoing maintenance and support provided to users subject to approved guidelines. Individual units are in the best position to determine their specific needs. Departments must take the financial responsibility for desktop acquisitions. They will have to develop plans for the ongoing replacement and upgrading of their IT resources. If departments choose to acquire unsupported hardware and software, they should consider the ongoing costs and risks involved. 3. The University will provide sufficient budget to maintain core IT services, and meet agreed-upon service levels. This includes annual replacement of capital equipment and software licensing escalation costs. For sound IT planning, a secure annual budget is required. Most major IT projects take a year or more to complete, traversing more than a single budget year. Ongoing maintenance and replacement of equipment (such as student micro labs and mainframes) are both predictable and essential. Major projects must be planned for as part of a rolling three year budget forecast. Appropriate replacement cycles need to be developed for various IT systems on campus.